GO, BT, and more, oh my! Hey ya’ll! Wow, can’t believe October is almost here! I am so ready for cooler weather. 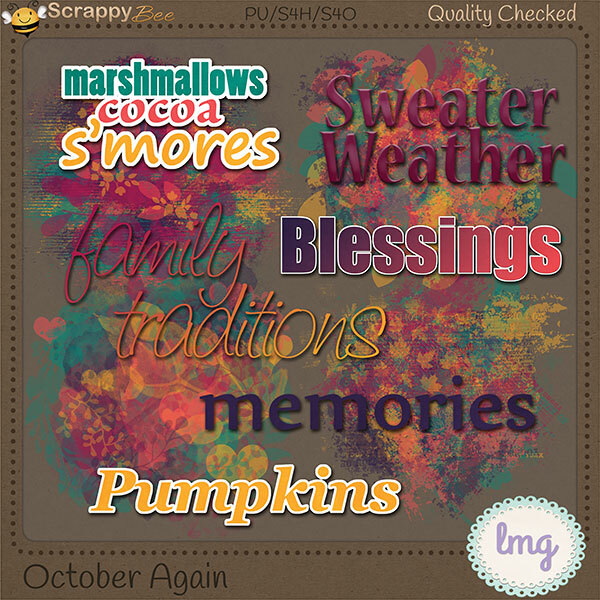 Pumpkins, sweaters, scarves, fireplaces … I do love fall! I guess living in a mostly warm/hot region of the country, I’d much rather have to bundle up to stay comfy than try to peel off enough clothes to get cool. And trust me, me peeling off clothes is a scary thing to behold. Give me sweatshirts, a (low carb) pumpkin latte, candles, a fireplace … and I’m one happy camper. My hubby, on the other hand is okay with more warm than cold. He was born on a tropical island where it’s warm all the time. Those islanders … lol. I’ll be coming out with another post in a couple of days with a blog train contribution for you, but wanted to give you a preview of a couple of things. First, below is a preview of the upcoming Beehive Express that will depart October 1. Appropriately named “October Again”. There are lots of cute things for you in this train so come back and visit all the stops! Second, all of the designers at Scrappy Bee have come up with a kit that will be dedicated to one of the SB owners. She has been in the middle of a move and one of the designers had an idea to put together a kit to help with her expenses as they’ve had to live, with kids, in a hotel for a bit. Need I say more? This will be a huge kit and the colors are gorgeous. I hope to have a preview of the whole kit with my next blog post as it is set to be released October 1 as well. Below is a preview of my part. And, last but certainly not least – my Grand Opening at Scrappy Bee!! My shop opens October 1, 2015!! I’m so excited and can’t believe I almost never started this journey just a little over a year ago. Not being a scrapper, I had no idea how or if I could fit in anywhere. But I had so much encouragement from so many scrapper/designer friends to just do it! I’m so glad I listened to them! Once I get settled in, I hope to begin having more goodies for you than I’ve had lately with the SnP Class, opening my store, and a vacation thrown in! 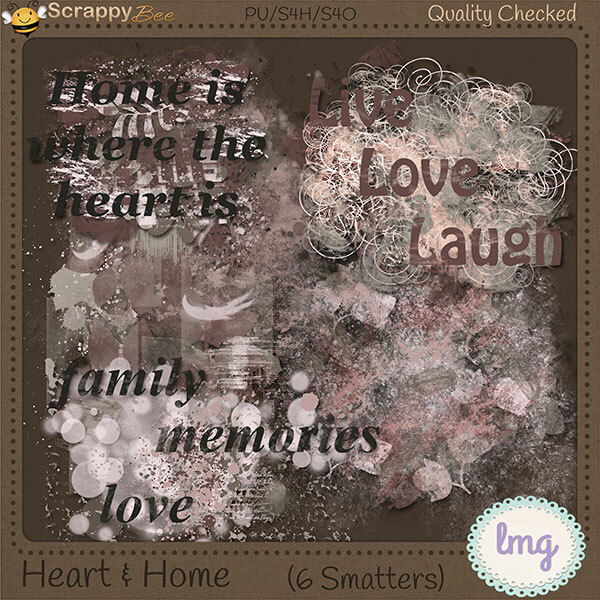 Below are the previews for “Heart and Home” (my contribution for the kit put together by the Scrappy Bee designers), the sneak preview of the Beehive Express, and my Grand Opening announcement. In no particular order lol. Oh, and if you’re a new visitor to LMG, please sign up for the post updates via email, or my newsletter where you can get a free mini kit just for signing up! I’m also now on Flickr, so if you follow me there, you can see previews of upcoming designs. Visit my shop at Scrappy Bee and get 30% off everything. 10/1/15 through 10/15/15. This is my contribution to the mega kit that will be available at Scrappy Bee October 1, 2015. Sneak Preview of the upcoming Beehive Express departing October 1! Blog Train and Collab Goodness!